Scott’s career as a stand-up comedian and actor was launched at the Montreal Comedy Festival in 2000. Following the festival, he had three consecutive talent holding deals – two with ABC and one with UPN. 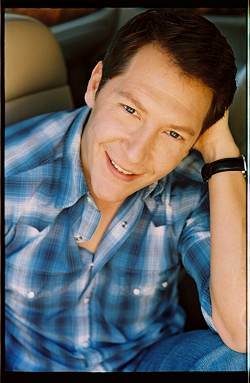 Scott has appeared on “The King Of Queens,” “Chelsea Lately,” and “Sports Soup,” as well as in specials for Comedy Central and VH-1. He has opened for an array of high – profile comics including Ellen DeGeneres, Dana Carvey, and Jeff Foxworthy, and headlines in major comedy clubs around the country. He has also been to over 50 countries entertaining U.S. troops, including Afghanistan and Iraq. Scott has also voiced more than 100 commercial for companies such as Toyota, Netflix, Coors, and Fram. He is known in the corporate world for his well-rounded versatility and top level comedy and hosting skills.